So Candidates can do job in railway department can apply for Railway Recruitment Cell (RRC) Group D vacancy 2019 by filling online Application Form. Candidates need to fill up the online Application on or before the last date. Starting & Closing Date of online apply announced by the recruitment authority. Officials announced the RRC Group D Jobs 2019 Zone wise. 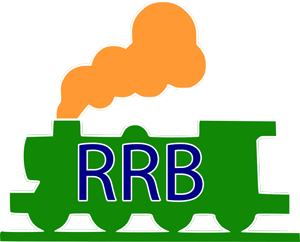 All eligible and interested candidates can apply for the RRC Group ‘D’ Vacancy 2019 online through the official website. In this article, we will be providing you the complete details of रेलवे ग्रुप डी भारती 2019 such as notification, application form, admit card, result, syllabus, etc. So, if you were eagerly waiting for Latest Railway Jobs or preparing for Railway Recruitment Exam then don’t miss this golden opportunity. Only those candidates who fulfill eligibility criteria of Railway RRB CEN 02/2019 Notification should apply. Age Relaxation is applicable as per norms of Indian Railway. Candidates will be selected for the Group D posts on the basis of their performance in the following rounds of tests. The salary structure of the Group- D Posts is Rs 1800/- (Level-1 of CPC Pay Matrix). Select the Post you want to apply for Railway Group D Vacancy. 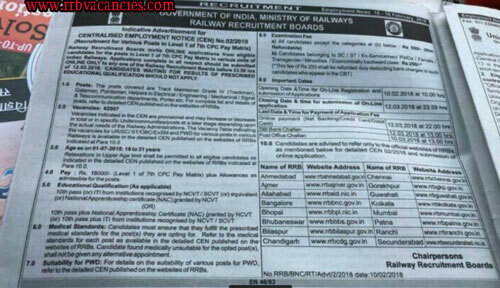 Candidates must refer to the official websites of Railway Recruitment Boards for CEN 02/2019 and also to submit online application.